An electric car is a plug-in battery powered vehicle. Many people prefer electric cars to gasoline-powered vehicles not only because they are environmentally friendly but also because an analysis of running and maintenance expenses of both types of cars indicates that electric cars are much cheaper and more efficient than gasoline-powered cars. Sometimes people are faced with a dilemma of whether to convert their present gasoline-run car into an electric car or buy a new electric car or better still, go in for a used electric car. In case the decision is to opt for a used electric car, it is necessary to follow certain steps in order to ensure that one purchases a proper electric car on the best possible terms. Determine the type of electric vehicle that is most suitable for your needs. Many models of electric cars, such as the Nissan Leaf and the Chevy Volt are now available in the automobile market. 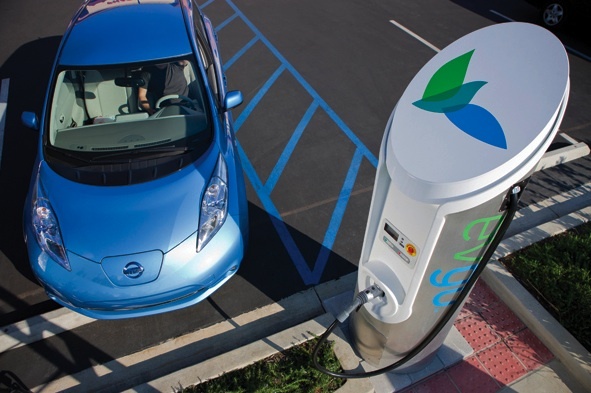 The Leaf model vehicle is a pure electric vehicle and has a range of around 100 miles, depending upon one’s driving experience and road conditions. The Chevy Volt car is an electric vehicle, equipped with a gas engine as a stand by. The combination of the two enables a travel up to 300 miles. While the Volt model has most important basic features, the Leaf model is more suitable for travelling. The purpose of buying a used electric car. It is important to understand the purpose for which you intend to buy a used electric car. If the plan is to use this vehicle for driving long distances, like going out of the town to the forest or a visit a family located away from the city or town, the battery will get discharged before you realize, resulting in lots of problems for the driver. Approach a new vehicle dealer. Quite often new vehicle dealers also sell used cars. It is better to check with them if they have any good used electric cars in stock. If they are not readily available, register with them in the waiting list by paying a little extra charge. It is a very good option and worth considering. Some people realize after purchasing an electric car that they do not have proper place to park the vehicle during nights. Electric cars are required to be plugged-in at night. For those living in an apartment, this may not be possible. Check about the type of warranty available for the used vehicle. It is necessary to ascertain before buying a used electric car, whether it is out of the certified pre-owned programs and if so, check whether batteries of the used car are covered by a warranty. Batteries of hybrid vehicles usually have a warranty of eight years or 100,000 miles whichever is earlier. It is very essential to gather every detail about the condition of the battery of the used electric vehicle, particularly if there is any damage to it. For instance, as the battery gets older and the vehicle is used frequently, the life of the battery will accordingly get reduced. Weather has also an important bearing on the vehicle’s battery. For example, hot weather conditions affect the battery’s life than cold weather. Buying used electric cars pitfalls. Electric car technology is still new and the cars are manufactured on large scale. Being ‘first generation’ electric vehicles, they may have some deficiencies. This aspect should be kept in mind before buying a used vehicle, though these problems can be ultimately rectified. That is why warranties are very important, particularly in case of first generation cars. There are a number of vehicle rental agencies that offer electric cars on rent. It is better to consider renting an electric car for some time and get a feel of it, before investing on a used electric car.